I begin work every day with clean hands. Within minutes my hands are bright green, or purple, or whatever! One of the reasons I enjoy clay so much is that I don’t really know how to do it. 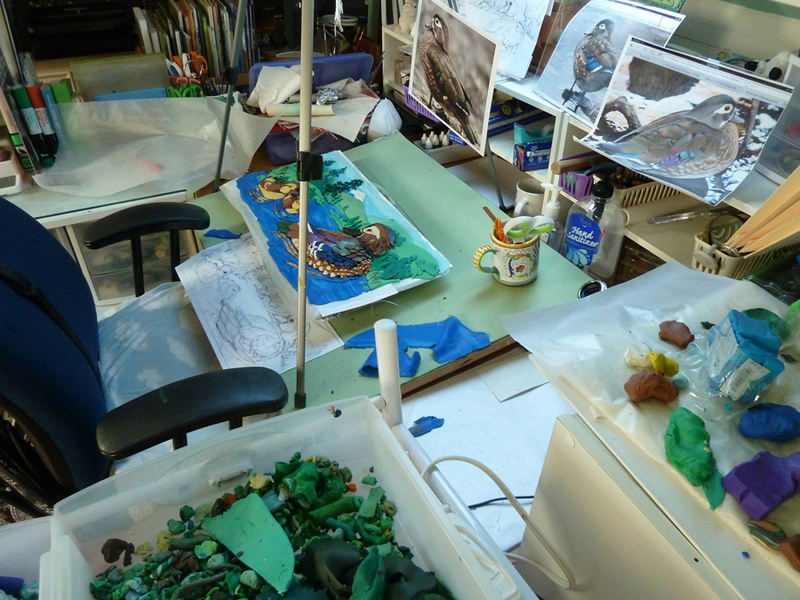 Each illustration is a discovery process as I study nature and animals and try to figure out how to bring them to life in clay. My finished clay critters live in pizza boxes, and I suspect that they play at night while we slumber. I was an Art Director for fifteen years, and won some international 3D illustration awards and a Grammy nomination. But my passion is, and always has been, illustrating and writing for children. I am the Regional advisor for the Midsouth SCBWI, and a member of the SCBWI Bologna Team. I love to travel and have done school visits all over the world including Taiwan, Brazil, Switzerland and Hong Kong. My uncle made this for me when I was 9. I decided that using clay to make books combined my 3 favorite things. Art, books and getting my hands dirty. My commute is short. 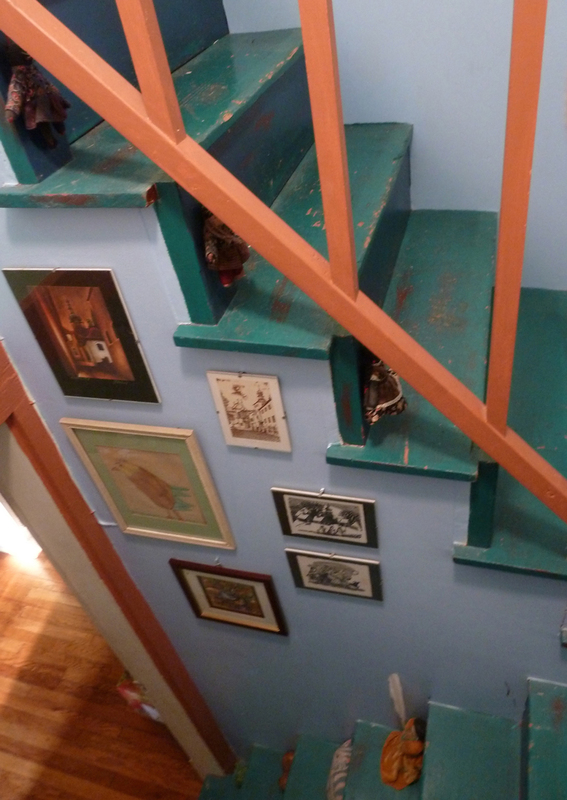 Up the stairs, turn to the right and the whole attic is filled with clay and books and art and toys. 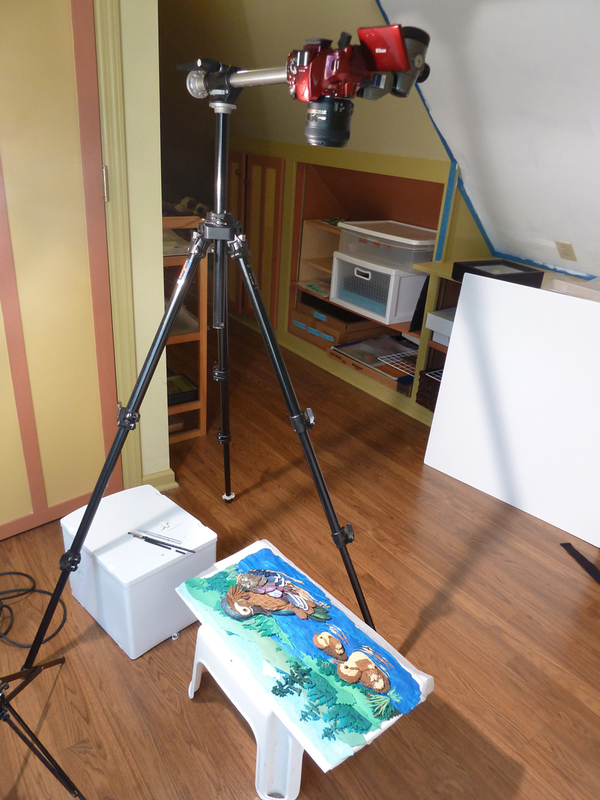 Turn to the left and you will find my teeny-tiny photo studio which is just right for hobbit sized people and clay reliefs that do not move when shot.